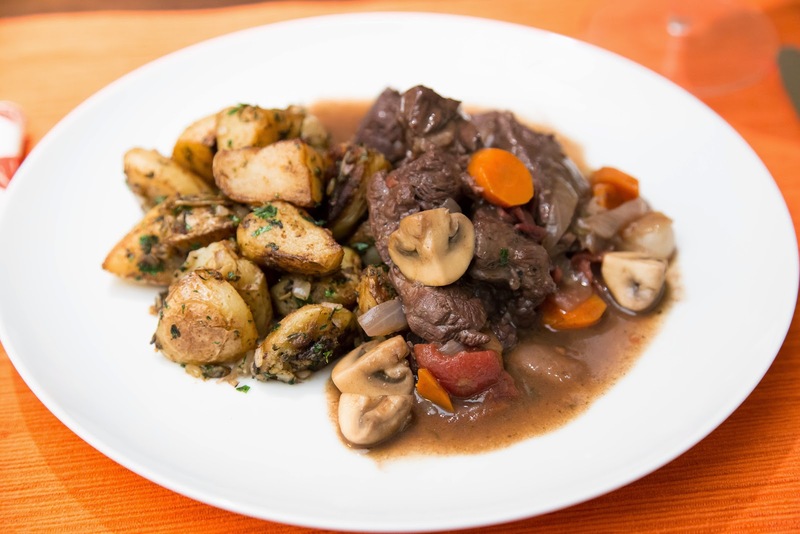 Boeuf Bourguignon – All the Eats. 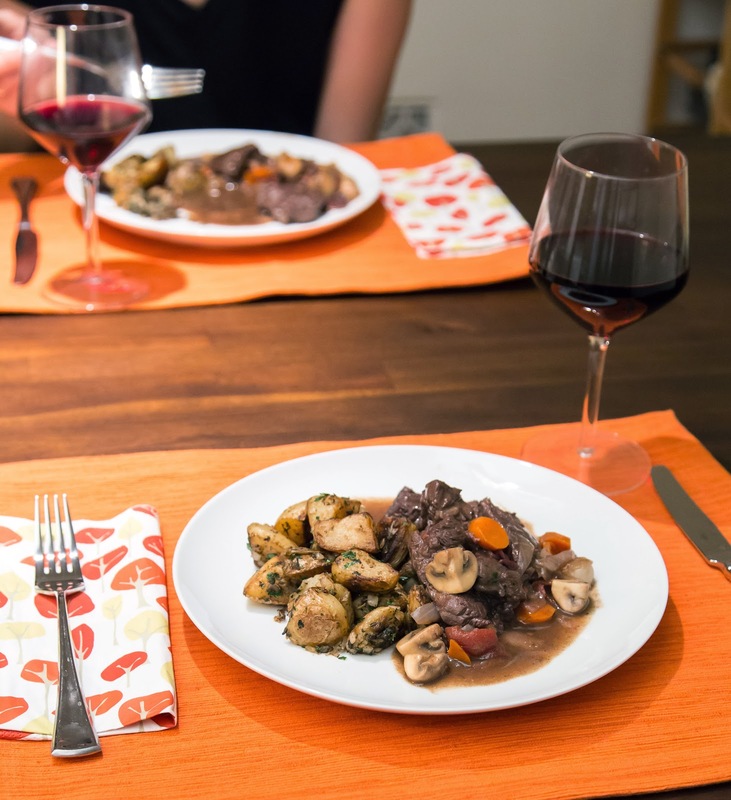 Still in our Julia Child phase right now, we decided to tackle her Boeuf Bourguignon. 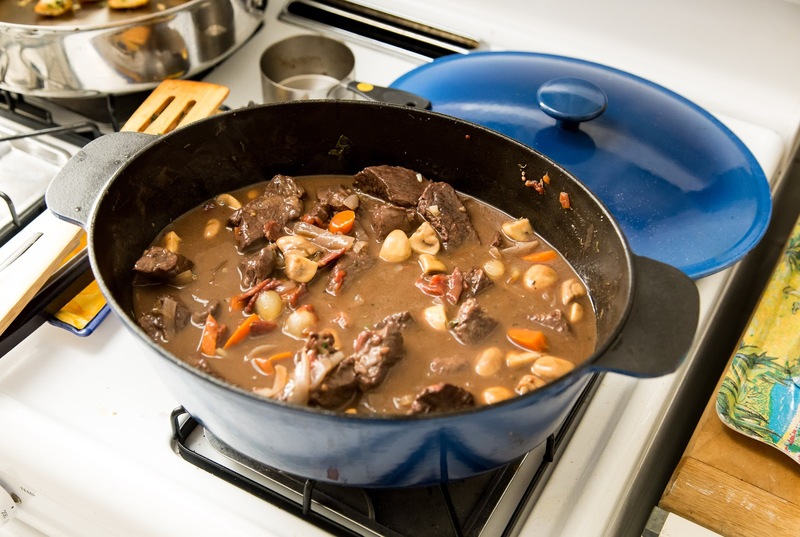 This stew cooks for a long time and makes for great comfort food during the winter (as much of a winter as we get here in LA anyway). 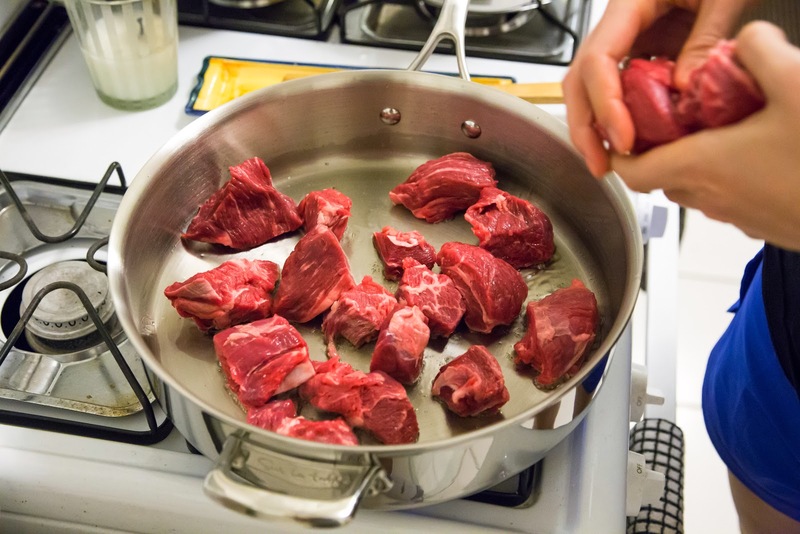 Before getting to work, we watched Julia’s video on how to prepare the stew which helped us get the steps down right during the cooking process. Although the video was in black & white since it dated back to the 60’s, it had all the Julia Child wisdom we needed. 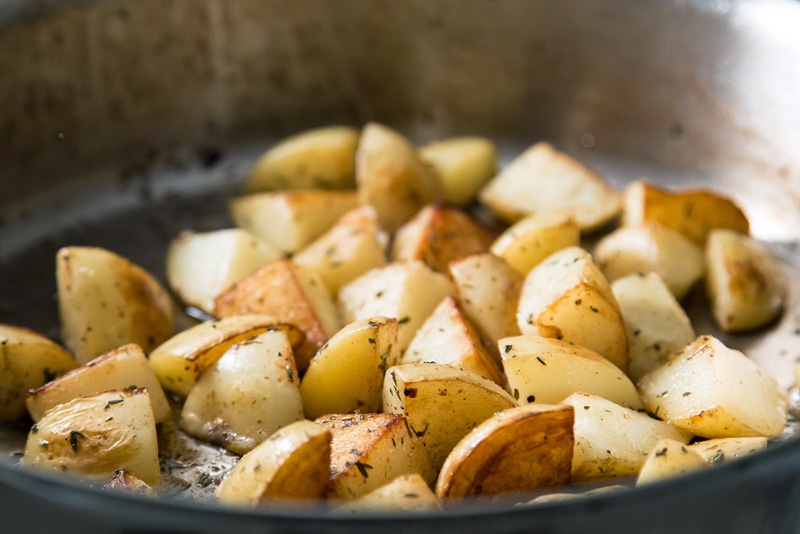 We paired the stew with sauteed potatoes with butter and thyme. Child recommends a starchy side like this to soak up all the great juices in this stew. We made our leftovers later with pasta, but rice or just french bread would also work as a side too! Of course red wine goes well with this dish any time as well. 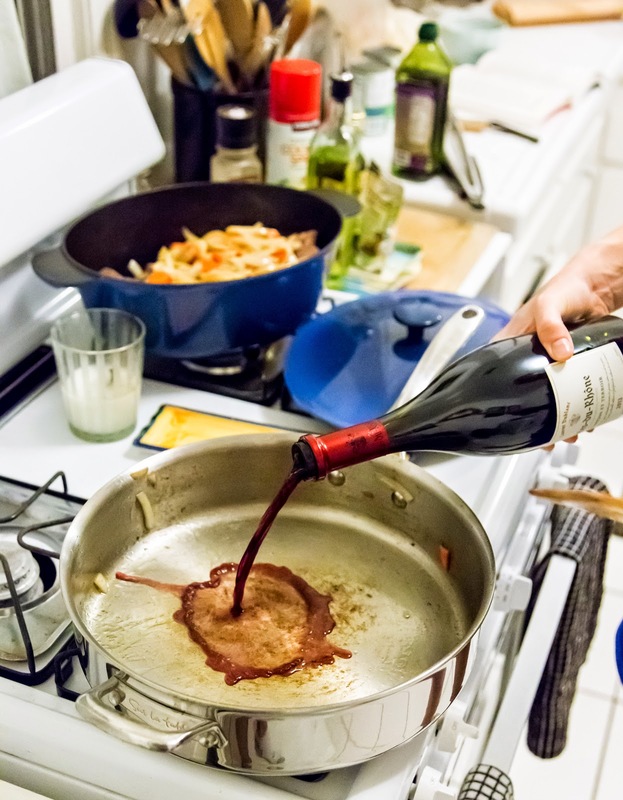 Deglazing the pan with an entire bottle of wine. We got our bottle for pretty cheap at Trader Joes. This dish was very filling and makes a lot of food for a big crowd – or it’s easy to freeze for leftovers like we did. 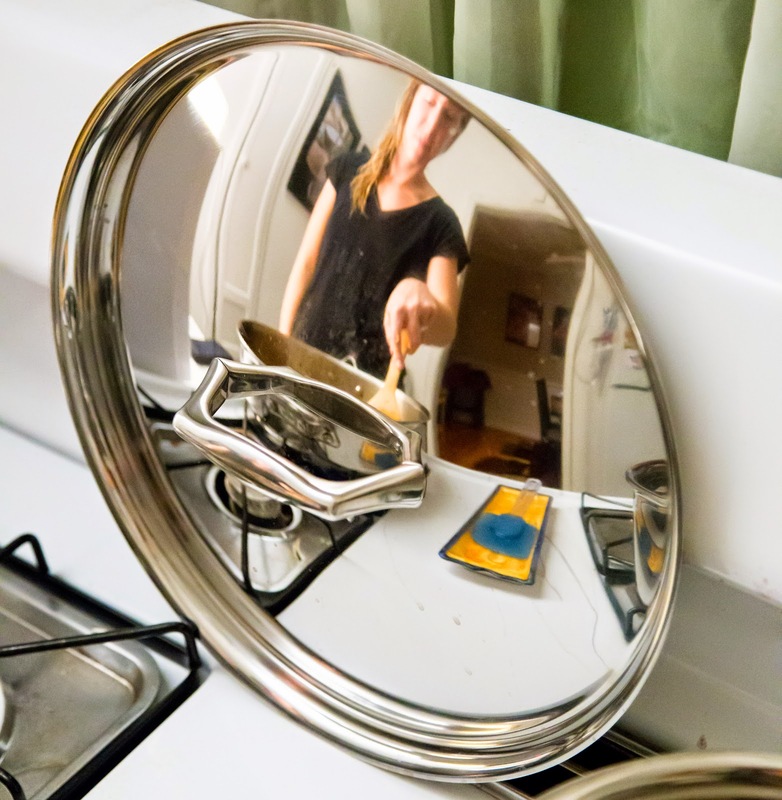 In our opinion, the leftovers were even better than the original serving.